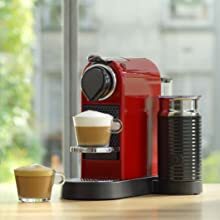 CitiZ & Milk is an automatic espresso machine fitted with an Aeroccino milk frother allowing you to create an endless number of recipes with velvety milk. 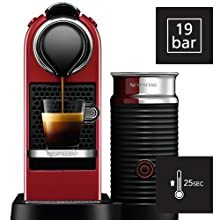 Staying true to the Nespresso philosophy, this compact modern machine features Nespresso's unique 19 bar extraction system and thermoblock heating to ensure optimal temperature control and consistency. 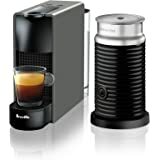 The CitiZ & Milk also features a folding cup holder to allow for a tall glass, a capsule container with the capacity to hold 10 used capsules and an automatic standby mode after 9 minutes of inactivity to reduce energy consumption. A cup of coffee is much more than a break. It is your small ritual. Make it an unparalleled experience. 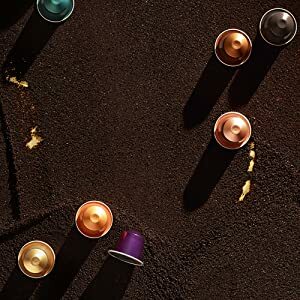 Choose Nespresso, do not settle for less: specially-selected coffee coming in a range of exclusive varieties, coffee machines combining smart design with simple state-of-the-art technology, refined accessories, indulgent sweet treats and services anticipating your every desire. What else? 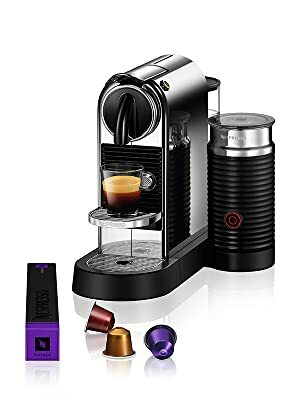 With its new design, CitiZ&milk continues to please both Nespresso coffee drinkers and design lovers, adding a touch of elegance to coffee rituals around the globe. 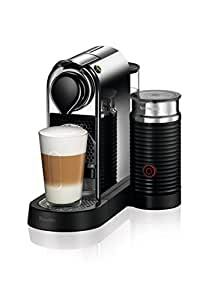 CitiZ&milk, with its built-in Aeroccino3 system optimized in space, allows you to create incredible milk froth for all kinds of delicious coffee recipes. 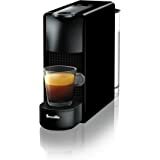 Keeping its iconic lines and premium finish, the range of intuitive and user friendly CitiZ machines embodies the expertise of Nespresso to suit all coffee drinking preferences. 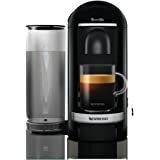 The user-friendly features include two programmable buttons with automatic flow-stop for Espresso and Lungo coffee preparations, as well as an adaptable drip tray for taller glass recipes. 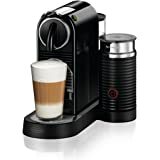 Fitted with an Aeroccino, CitiZ&Milk allows you to create an endless number of milk based coffee recipes at the touch of a button. 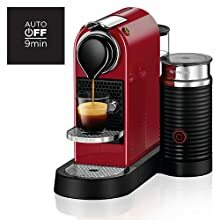 The two automatic buttons for Espresso and Lungo can be also reprogrammed for custom volumes and are back-lit for ease of use. 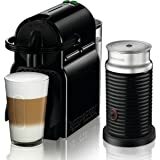 With the integrated Aeroccino, you can prepare incredibly creamy hot milk froth for creating all kinds of delicious milk-based recipes. 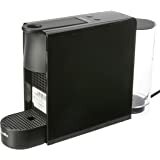 Thanks to the adaptable and folding drip tray, the CitiZ&Milk coffee maker is perfect also for taller glass recipes. 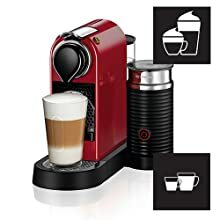 The automatic energy saving function turns off the machine after 9 minutes of inactivity (this period may be extended from 9 to 30 minutes) making your life easier and consuming less energy. 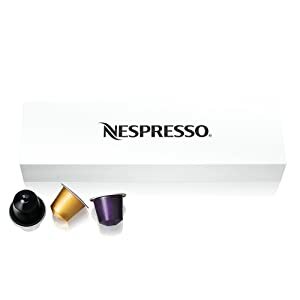 Each machine includes a welcome set with a range of Nespresso capsules with unique aromatic profiles. Try each coffee to find your favourites. 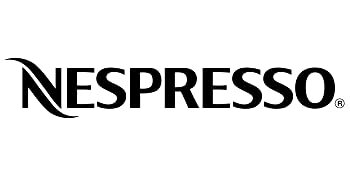 Order your Nespresso capsules through the Nespresso Club via mobile app, online, by telephone or in one of our Boutiques. 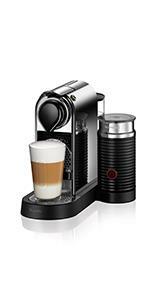 Nespresso follows highly rigorous standards in selecting coffee. We create hermetically sealed and recyclable aluminum capsules as an optimum way to lock in freshness and provide exceptional taste. 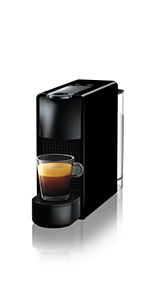 As a result, we offer a wide variety of 24 coffees to satisfy every taste at any moment of the day. 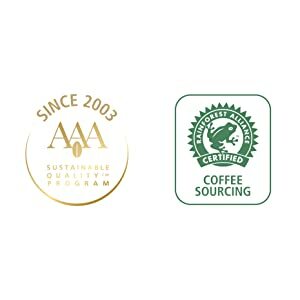 We are proud to seal our long-term commitment on sustainability and quality, celebrating our partnership with the Rainforest Alliance. We source more than 80% of our coffee from AAA farms and over 40% of all of our coffee from the Rainforest Alliance Certified farms.